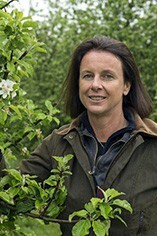 Jo Hilditch's family have been growing blackcurrants for three generations, on the Herefordshire welsh borders, for a variety of markets including being one of the first producers for Ribena. Things have changed though, from 100s of hand pickers in the fields to more recently a single machine with 5 operators. But the quality of the fruit is probably better and the flavours have improved over the generations. Jo realised that she could try something different and as she was always partial to a Kir on her French holidays she made her own take on the classic Cassis staple. 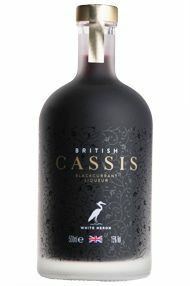 Hers is deliberately less sweet and syrupy and full of strong blackcurrant flavour - delicious in all kinds of cocktails and recipes. Blackcurrants have been grown on the White Heron Estate in Herefordshire by Jo’s family for 140 years. The rich soil and summer sunshine result in the most succulent barriers, pressed on the day of harvest to capture the intense flavours.